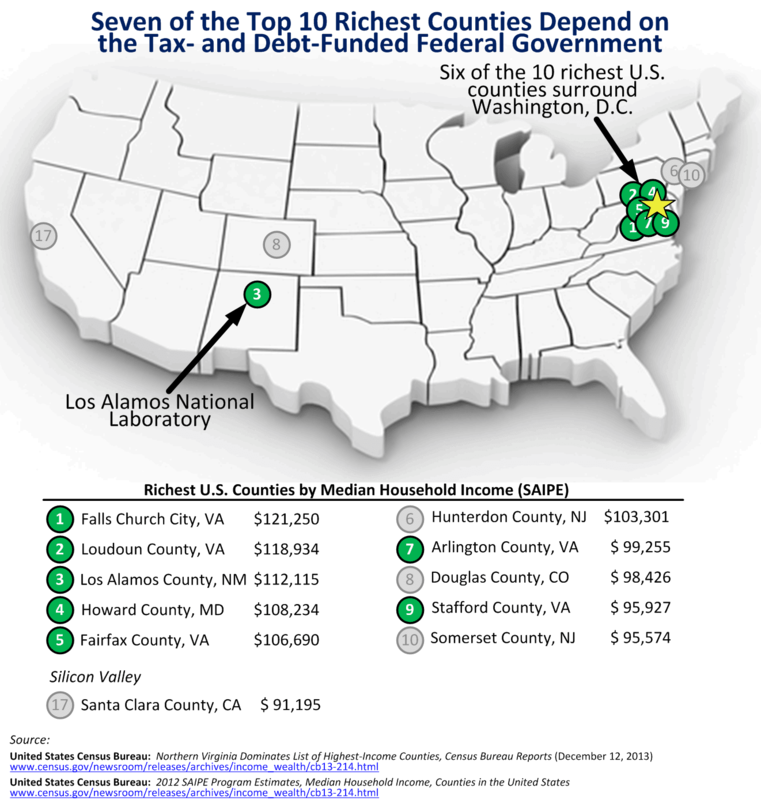 According to recent Census Bureau data, seven of the ten richest counties in the United States seemingly depend on the tax- and debt-funded federal government. "Richest" is based on the county's median household income. Six of the top 10 counties surrounds the nation's capital in Washington, D.C., home to a variety of federal agencies, departments, and bedroom communities for government workers. The less obvious member of the list is Los Alamos County in New Mexico, home to the Los Alamos National Laboratory. When you think of rich counties, which come to mind? Parts of Silicon Valley are quite affluent, yet Santa Clara County, CA is number 17 on the list. Marin County, CA is number 19. You can download the Census Bureau's data spreadsheet here. The spreadsheet also shows the poorest U.S. counties based on median household income.